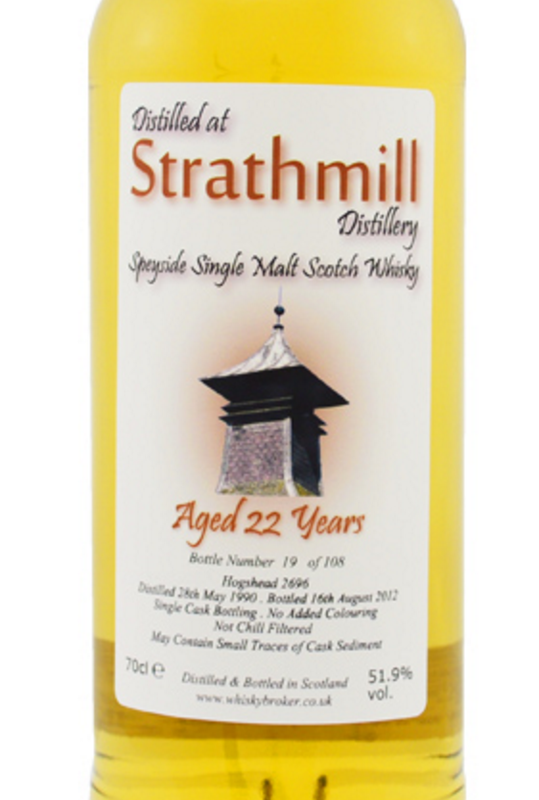 Strathmill isn’t a name you see on the single malt market very often. Another Diageo-owned blending malt, you’ll find this one in the popular J&B blended Scotch. Known for a delicate flavoured distillate, I’m hoping these two independent bottlings will showcase the distillery character without too much cask influence. Nose: Fiery pepper but fruity – peach fizz sweets, unpasteurised yoghurt, strawberry ice cream, kaffir lime leaves, sage, cinnamon and caramel. A whiff of aromatic permanent marker pen. Palate: Simple sweet malt toffee, barley malt, vanilla. Water reveals a touch of banana. Smooth to start, becoming spicy and numbing with Szechuan pepper, cinnammon, and cloves. Finish: Tingly with allspice, ginger root and cardamom. This is a pretty solid old-school style Speyside hoggy malt. Sweet shop notes with esters and fruit. It’s quite unbalanced and fiery, but a great nose on it. I’d say the cask was a tad too active here with the palate starting off well and gradually cranking up the spices further than I’d like on an unpeated malt. It’s a good whisky overall, but I wouldn’t buy it. This is four years older than the Cadenhead’s bottling, but quite a bit paler. I’m hoping the refill cask here has been kinder to the spirit. Nose: Green fruit – apples, kiwis, limes. Spicy crème brûlée, salted fudge, lavender honey, cloudy cider, and barley grass. Some green chillies too. Palate: Buttery fudge, cinder toffee, cheap cola, rum-raisin ice cream, sweet malt, and another rising, numbing pepper note that comes to dominate the palate. Finish: The fire calms down to leave Bourbon barrel spices – cinnamon, sweetened hazelnuts, creamy oak. 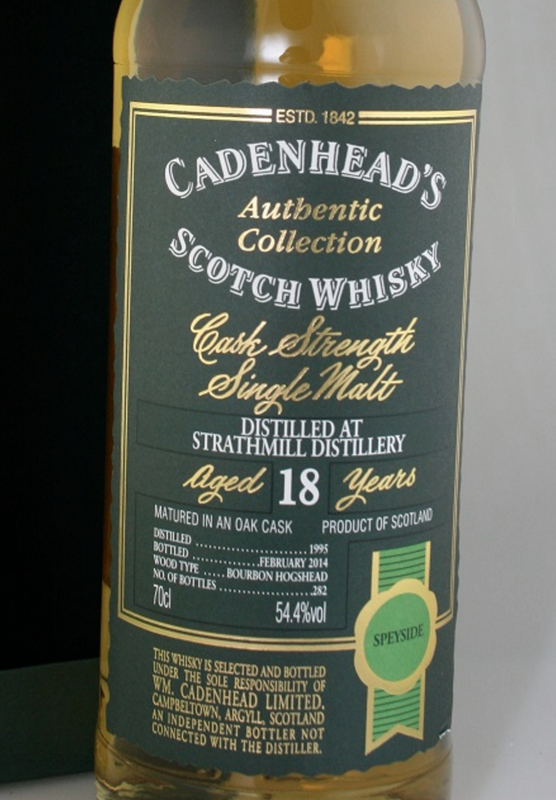 A lot in common with the Cadenhead – fruity Speyside character coming through, but different notes and more depth of flavour and complexity. It still has that rising spice, but it’s not as harsh as the 18 and dies down to reveal more flavours on the finish. Thanks to Andy for this sample!